From same-day delivery demands to global shipping and transportation, we understand the complex challenges facing the logistics and transportation industry. And we have the expertise to help you maximize your real estate investment. Your Colliers professional will deliver the tailored advisory, brokerage and management services your business demands. Our team is made up of experts located in key port cities, transportation hubs and consumption areas throughout the U.S. and abroad. To meet your needs, our specialists will work in partnership with Colliers supply chain consultants and the site selection specialists utilizing Colliers IndSite, while providing you with a single point of contact for full accountability and efficiency. From leasing to acquisition to site selection to development, we have the business relationships to help you achieve your business goals. Industrial occupiers are inevitably moving into parcels of land that previously weren’t well-suited or zoned for industrial property—many of which are in suburban or residential areas. Most commercial real estate and supply chain experts recognize the challenges the distribution industry encounters when it comes to labor availability. The U.S. industrial market keeps rising. Will distribution centers rise up with it? 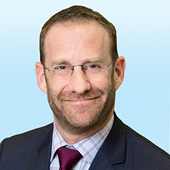 I am a principal of Colliers International specializing in site acquisition, leasing, sales and build-to-suits for industrial users and developers. As the national director of the Colliers Logistics and Transportation Solutions Group Steering Committee (L&T), we deliver focused solutions to the increased challenges of today’s global shipping and transportation community. In the last five years, I have completed transactions totaling in excess of $300 million for clients like Best Buy, Bridgestone, Lawson Products, and Arvato Digital Services. ​Matt McGregor specializes in representing industrial tenants across the United States and abroad. Having been involved in hundreds of transactions totaling more than 47 million square feet throughout his career, Matt approaches his work enthusiastically every day and holds himself to the highest level of accountability to his clients. He has unparalleled corporate experience in industrial commercial real estate, including warehousing, corporate headquarters, manufacturing plants, and national distribution and logistics facilities. 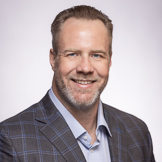 Matt’s primary expertise has been focused on transaction management, and he is highly instrumental in formulating and implementing real estate strategies that focus on not only cost initiatives, but also effective portfolio management strategies that drive success. In addition, Matt has directly managed strategic site selection, state and local incentives negotiations, detailed best-in-class financial analyses and Foreign Trade Zone initiatives. Matt is both certified in logistics and holds his SIOR designation. His wide array of past and present customers includes a list of blue chip clients such as Shutterfly.com, O’Reilly Automotive, Amazon.com, Principal Global Investors, Prologis, Clarion Partners and DCT Industrial. 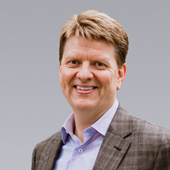 I am an Executive Vice President and shareholder at Colliers International (NASDAQ: CIGI). Our team within Colliers specializes in working with C-level executives and operational specialists to develop and execute corporate real estate strategies on a local and global basis in an effort to maximize operational efficiencies and value. My primary focus is representing dominant logistics companies in the acquisition and disposition of “supply chain real estate” - distribution centers, truck terminals, last mile hubs, manufacturing facilities and industrial land. With over 12 years of experience, I have developed an unparalleled understanding of Supply Chain Real Estate strategy via negotiating 500+ transactions, globally, in 50+ cities while generating millions in value for my customers. Not to mention- we have fun doing it! My clients and teammates are all folks who you can trust with a handshake. Life is too short to operate any other way. I enjoy reading, writing and speaking about eCommerce and the logistics industry. I've been featured on podcasts like the GaryVee Audio Experience and interviewed by multiple publications including the Wall Street Journal. I've also been a featured speaker at multiple real estate and logistics conferences around the globe. Just shoot me an email if you want me to speak at your event and we will try to make it happen! I am currently on the steering committee for the Colliers International Logistics & Transportation Solutions Group and an active member of IWLA, IAMC, and the semi-legendary, Texas Warehouse Association. When I'm not attending a Tony Robbins conference or taking a selfie in a warehouse, I'm also a Dad, a husband and a lifelong athlete having played collegiate level football and rugby. To increase my mental toughness, I have completed 3 Ironman triathlons. Thankfully, I haven't done one in 5 years! These days, I spend my time practicing yoga and recently completed 100 hours of yoga teacher training. My primary focus is in representing corporations, landlords, tenants and investors in the acquisition, disposition and leasing of warehouse space in the Greater Memphis Metro Market and across the US. Prior to joining Colliers, I received a Bachelor of Business Administration degree with an emphasis in real estate from the University of Mississippi. 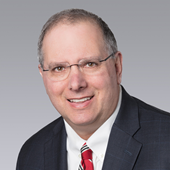 Steve Bellitti, a 27-year industry veteran, joined Colliers in 1990. Partnered with Tom Taylor, Steve specializes in leasing, sales and development of industrial and investment properties in the Inland Empire and East Los Angeles County market areas with a particular emphasis in larger and complex transactions. Since 1996 Steve has been among the highest producers at Colliers. 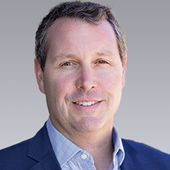 Since 2013, Steve has annually been the highest producing industrial broker for Colliers throughout the West Coast. He has strong relationships with major developers, institutional and prominent private investors throughout Southern California along with numerous national and regional big box corporate customers. Over the past three years, Steve has transacted 27.60 million square feet with a total consideration of $1.26 billion. Since 2004, Steve and Tom have sold 2,200 acres of land and presently have an additional 200 acres in escrow to various clients for future development. Steve graduated from Santa Clara University with a Bachelors of Science in Economics and also graduated Beta Gamma Sigma from the University of Southern California with a Masters of Business Administration. 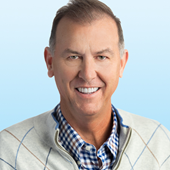 Mike is a Senior Vice President of Colliers International in Atlanta with over 30 years of experience in helping clients with their portfolio as well as with, individual requirements. His primary focus is in corporate services where he integrates financial analysis and modeling. This process adds significant value to his clients real estate decision making. Mike has extensive experience with construction/build-to-suit projects having completed over 45 build-to-suit assignments and acquiring over 3,000 acres of land for various projects. Mike has completed lease/sale transactions representing more than 32,000,000 square feet totaling over $1 Billion in transactional volume. 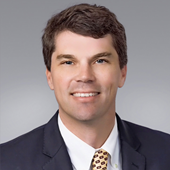 He has represented SP Recycling, Hartsfield Warehouse Company, UPS, Mitsubishi, DSC Logistics, Norfolk Southern, Safelite Glass, and a national Fortune 100 retailer. Mike has represented National Landlord’s including Prologis, First Industrial, and Seefried Properties.